Where Should My Pleasure Craft Licence Be Displayed? First things first, congrats on owning a boat and being a responsible boat owner! It’s always best to understand the legalities and requirements involved with owning your pleasure craft and looking up questions is one of the best ways to learn. One of the premier things to understand when learning about licence displays is that your pleasure craft licence is not the same as the same document as a boating licence. You may have a Pleasure Craft Operator Card but you also must have a pleasure craft licence number for your vessel. 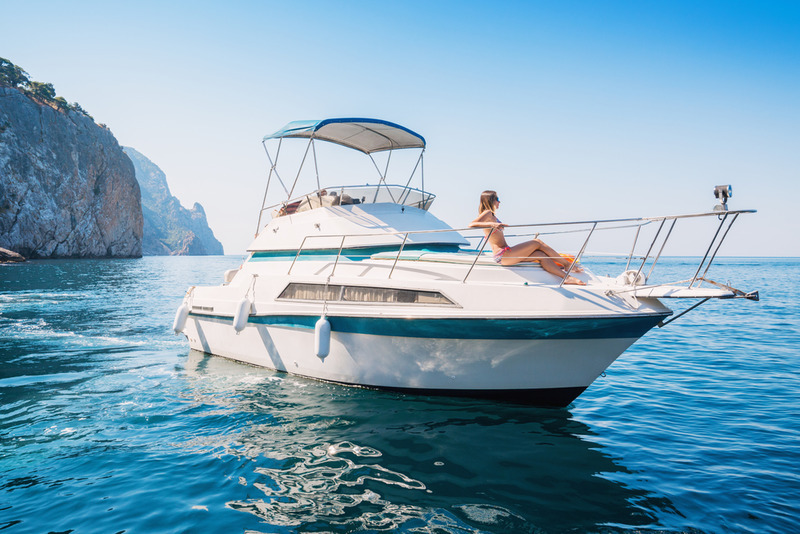 A pleasure craft licence document is a unique licence that is for your pleasure craft. You must keep in mind that you are required by law to have a pleasure craft licence if your craft is powered by an engine with 10 horsepower or more. The great thing about having a licence for your pleasure craft is that it is very important in the case of an emergency. The licence for your pleasure craft allows Search and Rescue teams to access your particular information on a 24 hours basis. This can greatly help if you are in a situation where you are lost at sea or your craft has been stolen. Once you have been assigned a pleasure craft licence number you must have it properly displayed on your vessel. This means that it must rest above the water line. It also means that it must be displayed on both sides of your vessel’s bod and as far to the front as practical. Doing so will make it easily see and recognizable. The number you use to display your licensing number has to be a certain style as well. This can help aid others in understanding easily the numbers on your pleasure craft. When you are preparing to create this display you must have block letters that are at least 3 inches high. They can not camouflage into the existing paint color of your boat. If your boat is white, your decal color should not be white. The numbers need to be clearly visible. Additionally, you do not need a pleasure craft licence if your boat is registered. Pleasure craft licences are valid in Canada for ten years. You can apply for a licence through many different sites including third party providers. If you are uncertain of where to start using a third party can be your best option. These trusted third parties work with you to ensure your paperwork is right the first time. If you are itching to get out on the water you don’t want to be hindered by days, weeks or months dues to filing the wrong information or having simple clerical errors. If you need help with filing your forms you can call the National Vessel Registry Center Corp. office toll free at 1 (800) 419-9569 or send us a message on our Contact page. We look forward to making your filing a breeze and helping you with any questions that might arise.